Do you own a blog? If so, then you're among the 10% or so of the world's internet population that blogs. As many as a 250 Million blogs (possibly more) were known to exist in 2012, and the pace this number is growing at is astounding. But not everyone who blogs is worth their salt, and comparing this huge number of blogs to the blogs that are actually creating their own, original and unique content, we're only left with a handful. This is not to say that most blogs are useless and are only generating 'noise' on the internet. But many are. 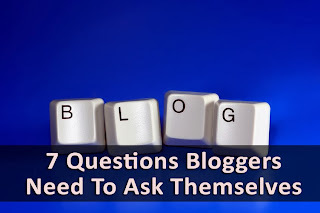 If you are blogging, then you should carefully evaluate yourself, and see whether you're not making any of the mistakes listed below. Because if you are, then frankly speaking, you're just wasting your time, and don't deserve to be blogging. Weird as it may sound, most of the comment spam found online is generated by bloggers (after bots, some of which are, again, set up by bloggers). Bloggers are always trying to create backlinks to their blogs, and bring in traffic. Blogging is a lot about making social connections. Without comments, that is almost impossible. While making comments on other sites is a good way to get traffic and create an online reputation, posting irrelevant comments for the sole purpose of generating traffic will kill your reputation. Here at MBT, we feel very strongly about this that, and because we get a lot of comment spam, I might as well tell you that there's a fine line between a 'good' comment and a 'bad' comment. A good comment is when you ask me a genuine question regarding the topic at hand, or point out a mistake in this article. A good comment is when I reply to thank you, and/or answer your questions. Links might be exchanged during this brief conversation, which is perfectly OK, since they're used for making a point clear. However, it is a 'bad' comment when someone says 'nice post', and then leaves a link back to their own website. In such cases, appreciation can see to be fake, even rude. So if you're making a comment, please make sure you have a valid reason to make a comment. Even if you don't it is OK, as long as you don't spam it up with a couple links to another website (unless absolutely necessary). Another common, and very serious issue. Copyrights violation in any format is a crime, punishable by law. And yet, a lot of bloggers do it. Some bloggers blatantly copy content from another website, and pass it as their own. Not only is this immoral and unethical, it could also spell trouble should anyone report the copyrighted content. A lot of people also don't give credit where credit is due. First of all, it is not recommended to copy content from another site. But if you absolutely must, please make sure you link to the original source mention it explicitly. Many people do not realize this, but identity is everything when it comes to blogging. People prefer to see a real name in the author section of an article instead of 'admin'. Also, it is bad practise to post as a celebrity. Many people on social media use celebrity pictures as their display pictures, which is a major turn-off! Your own identity is the best thing you possess - use it! Of course, it goes without saying that the use of unfair techniques to get your website rank higher in Google Search is unethical. Black-hat SEO is overkill - just don't do it. Google also tries to eliminate such techniques and practices with each new update of its search algorithm. So save your time, and create useful content instead of trying to cheat your way around - it'll be much more worth your while. No, I'm not a fan of Jane Austen, but the moral she put forth may be worth something. I feel somewhat relieved to say that this problem isn't very common among bloggers, although it isn't extinct either. Some people think they're that much better than their counterparts, since they're more successful and making a lot more money. This type of behaviour, though rare, still exists. One thing you have to keep in mind is, blogging is a very uneven field. You might be doing great on your blog, but once a major search algorithm update comes, BAM! You never know what hit you until it's too late. So being ungrateful to other, forming unjustified judgements based on fallacious reasoning, and taking pride in what you've achieved, and rubbing it in others' face might be your undoing. So always try to be humble, and keep a respectful tone in your writing style. Never let your pride show, and never develop prejudice! Laying digital traps, luring unsuspecting users, ensnaring them before they know what's going on; sounds like a great plot for a story. Except, it is the story of many blogs (and the many unfortunate stumblers who come across them) who try to scam their visitors into situations they don't want. Typical catalyst are promotions too good to be true, such as 'You're our 1000,000th visitor, click here for a free iPhone'! Although not a very subtle example, it serves to summarize the concept. Many users fall into traps like this when they're looking for a file to download, and get an application (executable) file instead. Many get hacked this way. Tricking potential customers into doing business with you defeats the whole purpose of blogging. Would you set-up a shop in your neighbourhood and start cheating people out of money? People would make sure to avoid you the next time they come around. Blogging is not dissimilar. It is a lot about socializing, and making connections. And you'll never be able to build a reputation for yourself by publishing scam. Very, very common mistake. More than 81% of the blogs out there are writing for money. If you plan to create a blog in order to generate money, there's nothing wrong with it. But if you put money ahead of your users' preference, then you're just wasting time. We've seen blogs that have barely one page of content, and yet they are proud to present countless advertisements. To them, I ask; who are you advertising to? And on what basis? For such blogs, ads will scare away what little traffic they might have. If you have some content on your blog, and are looking to expand it, then there's nothing wrong in trying to make money with it. In fact, we would recommend such a move, because everyone deserves a chance to grow their business. But the people who don't create their own content and instead plagiarise it and violate copyright laws, try Black-Hat SEO techniques on it, and then ensnare people with scams, do such people deserve a chance too? Yes, we have to write quality content and don't for money, In this case we will get more readers. Only unique content, and good social interaction can make your blog run in better manner. is now the social media is better then backlinks ?? For some of us, blogging anonymously is actually a better idea: it lets readers focus on the content we are producing, rather than who we are or what we might believe. I agree topic should be worthwhile and serve the readers with something they thoroughly enjoy and haven't experienced before. But shouldn't part of your goal be to earn money, as we all need it to support ourselves. Not all of us are independently wealthy with the time to unselfishly delve into topics for hours on end.